It’s that time of year when you, as a public player, start to think about your options for the coming season. ClubLink Players Club has been a major part of your annual itinerary in the past and has served you well. Should you join again in 2018? There’s a lot to consider but think about this: in 2018, ClubLink Players Club is better than ever. If you’re a big picture person, there are more courses to play, more free rounds, better access to tee times and your cost per round is lower than ever. On the other hand, if you’re someone who likes to sweat the details, consider the six-day advance booking privilege, the 2-for-1 cart bonus when using a 2-for-1 certificate, complimentary range balls, access to ClubLink's 9-hole Academy Courses* at a special rate with golfers 12 and under from your family playing for free, or a dozen free Titleist Pro V1 golf balls. Those are just some of the details that will make you happy to be a Players Club member again. Or maybe you’re more the analytical type and need to figure out if Players Club is a “good deal” when compared to some of the other options on the market. Let’s look at Premium Advantage. It’s $499 to join and you get 10 free rounds. You can play those rounds at Bond Head, Cherry Downs, Hidden Lake, Bethesda Grange, Rolling Hills, Caledon Woods, Eagle Ridge, Glendale, Grandview, National Pines or Station Creek. That works out to just $50 per round. 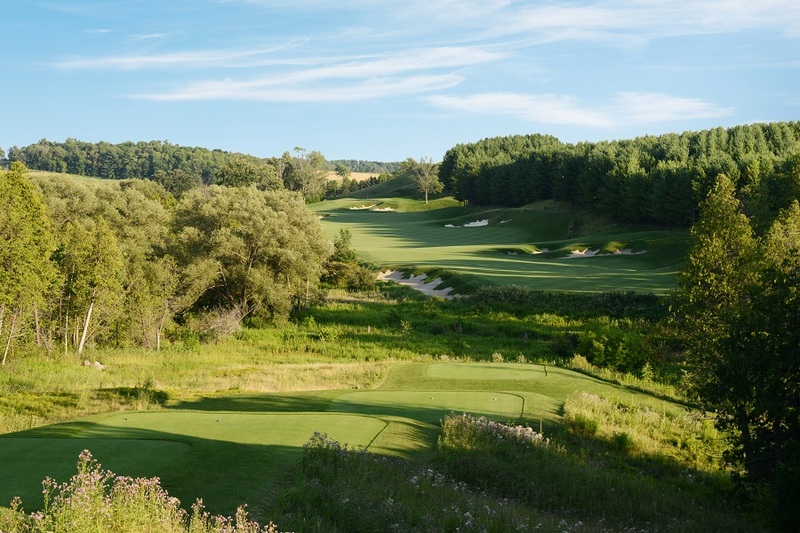 Then you also get 8 two-for-one certificates that can be used at Glen Abbey, The Club at Bond Head, Bethesda Grange, Rolling Hills, Hidden Lake or Cherry Downs. And then the kicker: a dozen free Titleist Pro V1 golf balls. That’s another $60 value. Premium Advantage comes with a lot of other added value benefits too. Maybe it’s not about the value or the perks. Maybe you’re all about golf experiences that start with playing amazing courses. How can you beat National Pines, host course in 2017 to the PGA Tour Canada / Mackenzie Tour’s penultimate championship? It’s considered one of golf course architect Thomas McBroom’s finest designs and over the years has challenged both pros and amateurs at every level. Or how about Grandview, the spectacular Mark O’Meara course in Muskoka, where every hole is a post card. Muskoka golf is unlike anywhere else, with each hole individually routed through woods and wetlands, around granite cliffs and serene lakes, turning a round of golf into a nature adventure. Then there’s Glen Abbey, Jack Nicklaus’ first solo design and home of the RBC Canadian Open since 1977. And home to champions such as Lee Trevino, Greg Norman and Tiger Woods. Tiger’s 216 yard shot from the fairway bunker over the pond on the 18th hole in the final round set up a birdie to clinch the title in 2000. Every player that walks the final fairway has probably had a look at that bunker and just shook their head in amazement. The list continues with gems like the brawny duo at Bond Head, the splendid mix of old and new at Hidden Lake or scenic Cherry Downs with its treacherous greens. And many more. Every one of the Players Club courses offers a memorable experience. To have them all part of a package is unbelievable. No matter your motivation, Players Club has something that will appeal to every public golfer. From the Classic package to the Ultimate, each option has great value and promises to deliver a season full of lasting memories. To learn more about the various options available with ClubLink Players Club or purchase your membership, click here.